The neurological exam allows for detection of symptoms that are indicative of underlying neurological pathologies and abnormalities. The exam is also necessary to determine the range of disability in neurological function. A properly conducted neurological examination allows for the localization of the pathology to particular areas in the central and peripheral nervous system. The examination serves as a necessary preliminary step to determine which diagnostic test should be prescribed. Sensory dysfunction as a consequence of systemic illness can also be screened through neurological examinations. There are twelve cranial nerves that control different aspects of facial functions. Damage to different nuclei or different sections of some nerves can lead to the presentation of different signs and symptoms. There is little value in routinely testing olfaction as it is uncommon to detect an abnormality. Hence testing olfaction is usually omitted from a clinical exam unless there are specific clinical suspicions. A subfrontal tumor such as a meningioma may cause unilateral anosmia. Subfrontal meningioma can cause bilateral anosmia. Olfactory nerve fibers pass through the cribriform plate; hence head injury resulting in fracture of the cribriform plate can lead to permanent bilateral anosmia. Anosmia is commonly neurodegenerative, occurring particularly in Lewy body disease. Olfaction is also tested when Kallman’s syndrome is suspected. Before starting the examination, the patency of the nostrils and the ability of the patient to smell should be checked. The patient is first told to close their eyes. One nostril should be closed while the other is being tested. Irritating smells like ammonia should not be used. Present common smells like peppermint, soap, clove oil, etc. Testing the optic nerve consists of several components: visual acuity, color vision, visual field, pupillary examination and fundus examination. To assess visual acuity, a Snellen’s chart is used, and each eye is tested separately. Ask the patient to read the lowest possible line or successively lower lines to identify efficiently which line can be read with 100% accuracy. If the patient cannot read even the topmost line, show him your hand and ask him to count fingers. If the patient fails, wave your hand and ask if the patient can detect the hand movement. If the patient fails, direct light into his/her eyes to check if the patient can perceive the light. Acquired unilateral loss of color vision is a characteristic feature of optic neuropathy, and loss of color vision can occur even if visual acuity is intact. 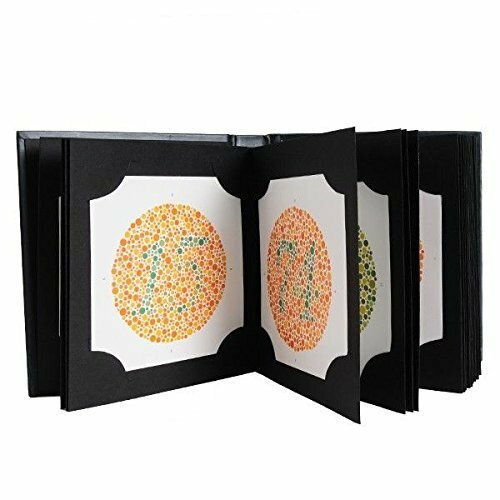 Hence, testing color vision using Ishihara test chart books may be a sensitive bedside test for mild optic neuropathy. Visual field defects in one eye indicate a retinal or optic nerve defect. Lesions at the optic chiasm or lesions behind the optic chiasm in the optic tracts, visual radiations or occipital cortex will result in visual field defects in both eyes. Sit about a foot away from the patient and face them nose to nose. Ask the patient to close their eye, and you should close the corresponding eye on the ipsilateral side so that you are both looking into each other’s eyes. Move your hand to the periphery of the visual field. Bring your fingers into the visual field slowly. Both you and the patient should be able to see the fingers at the same time. Repeat the above step and check the visual field in all four corners. Repeat the above procedure for the other eye. Optic chiasm: lesions involving crossing fibers lead to bitemporal hemianopia, and lesions involving uncrossed fibers leads to binasal hemianopia. Optic tract: right optic tract lesion leads to loss of nasal half visual field of the right side and temporal half of visual field of the left side – left homonymous hemianopia (as there is a loss of left halves of visual fields of both sides). Similarly, left optic tract lesion leads to right homonymous hemianopia. Optic radiations: temporal optic radiations represent upper quadrants of visual field and damage here leads to superior quadrantanopia of the opposite side. The parietal optic radiations represent lower quadrants of visual field and lesion lead to inferior quadrantanopia of the opposite side. Visual cortex: there is homonymous hemianopia of the opposite side with macular sparing. Examination of the pupils and their responses to light and accommodation provides information not only about specific neurological syndromes but also information about the integrity of the anterior visual pathways, the brainstem and the efferent parasympathetic and sympathetic pathways to the pupillary sphincter and dilator muscles, respectively. The third cranial nerve contributes the efferent portion of the visual pathway; hence the pupillary examination takes into account the pathologies of both the optic and oculomotor nerves. The test is best conducted in a dim lit room in which the eyes will be relatively dilated, and the constriction can hence be properly noted. Notice pupil shape and size at rest. Ask the patient to place one hand on their nose to block light from entering into the other eye (to accurately determine consensual light reflex). 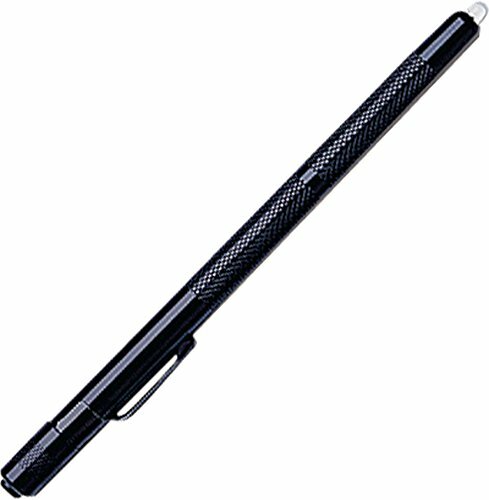 Shine a penlight into one eye and note the constriction in this eye as well as in the other eye from which the light is blocked. Machined aluminum case with non-slip knurled grip. High intensity 5mm LED, impervious to shock with a 100,000 hour lifetime. Features momentary blink or constant "on" operation. Repeat the procedure on the other eye. In order to check for pupillary constriction during accommodation, place your finger close to the patient’s face and. Ask the patient to first look at a distant point and then focus on your finger. Notice if the pupils construct upon focusing on your finger. Asymmetry of the pupils is referred to as anisocoria. Some people with anisocoria have no underlying neuropathology. In this setting, the asymmetry will have been present for a long time without change, and the patient will have no other neurological signs or symptoms. The direct and consensual responses should be preserved. Some conditions can also affect the size of the pupils. Medications/ intoxications which cause generalized sympathetic activation will result in dilatation of both pupils. Other drugs (e.g., narcotics) cause symmetric constriction of the pupils. These findings can provide important clues when dealing with an agitated or comatose patient suffering from medication overdose. Eye drops known as mydriatic agents are employed to paralyze the muscles, resulting in marked dilatation of the pupils on the affected side. They are used during a detailed eye examination, allowing a clear view of the retina. Additionally, any process which causes increased intracranial pressure can result in a dilated pupil that does not respond to light. Other conditions like anxiety, pontine lesion and even simply old age can cause bilateral pupillary dilation. If the afferent nerve is not working, neither pupil will respond when the light is shined in the affected eye. Light shined in the normal eye, however, will cause the affected pupil to constrict. That’s because the efferent (signal to constrict) response, in this case, is generated by the afferent impulse received by the normally functioning eye. This is referred to as an afferent pupil defect. These three cranial nerves control the movement of the extraocular muscles and hence are tested together. The oculomotor nerve controls the movement of the inferior oblique, inferior rectus, superior rectus and medial rectus, along with controlling the movement of the upper lid and mediating the constriction of the pupil. The trochlear nerve controls the movement of the superior oblique. The abducent nerve controls the movement of the lateral rectus. Movements are described as elevation (pupil directed upwards), depression (pupil directed downwards), abduction (pupil directed laterally), adduction (pupil directed medially), extorsion (top of eye rotating away from the nose), and intorsion (top of eye rotating towards the nose). The examination of the cranial nerves should be done in such a manner that it is easy for you to observe the eye movements of the patient. Stabilize the patient’s head with one hand. Ask the patient to look straight at your finger, which is held at a distance of two feet, and follow its movements. Trace an imaginary “H” using your finger and make sure your finger travels far enough for you to be able to detect significant eye movement. To check for accommodation bring your finger closer to the patient, causing the patient to look cross-eyed. There is ptosis due to paralysis of levator palpebrae superioris. Ptosis can be caused by third cranial nerve palsy, Myasthenia gravis or Horner’s syndrome. Third nerve palsy can be caused by diabetes, aneurysm of the posterior communicating artery, midbrain lesion or cavernous sinus thrombosis. Lateral rectus is paralyzed, and the eyeball deviates medially. Because of its long intracranial route, the sixth cranial nerve is often involved in raised intracranial pressure of any etiology. When the patient is asked to move eye laterally, there is nystagmus in internuclear ophthalmoplegia, and the opposite eye cannot move medially. This occurs due to the lesion in the medial longitudinal bundle on the side of the weakness of adduction. Bilateral internuclear ophthalmoplegia is characteristic of multiple sclerosis. This is a mixed motor and sensory nerve. The neve is divided into three portions: ophthalmic division (sensory), maxillary division (sensory) and mandibular division (mixed). The motor portion supplies the muscles of mastication: masseter, temporalis and the pterygoids. The sensory portion carries sensations of touch, pain and temperature from the face, the anterior part of the head and inside the mouth. Place your hands on the sides of the patient’s cheek, fingers being on the temple. Ask the patient to clench their teeth. You should be able to feel the contraction of the masseter and temporalis muscles. In unilateral paralysis, muscles of the affected side will not contract. In bilateral paralysis, the jaw hangs loosely. Ask the patient to open the jaw against resistance to test the pterygoids of both sides. The jaw will deviate towards the weaker side. Jaw jerk: ask the patient to open their mouth and hang the jaw loosely. Place your thumb over the chin and strike it with a clinical hammer. There is a closure of the jaw if reflex is present. Normally this is not elicitable but is brisk in upper motor neuron paralysis of the trigeminal nerve. 3-IN-1: Reflex Hammer with Needle and Brush, can spin out the needle at the top, a brush can spin out at the tail. NEUROLOGIC REFLEX DIAGNOSIS: Accurately and effectively elicits muscle stretch reflexes, superficial or cutaneous reflexes, as well as plantar and abdominal reflexes, with less effort and greater patient comfort. 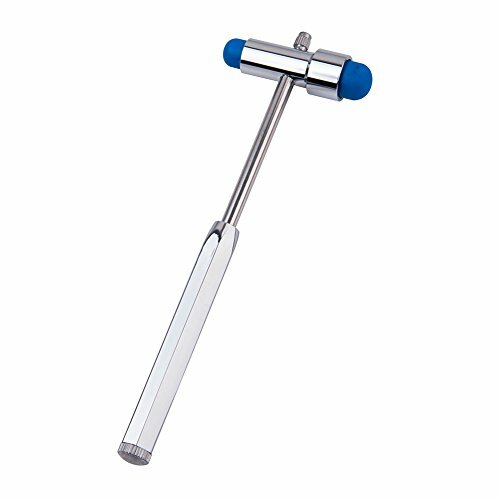 STAINLESS STEEL HANDLE: Our reflex hammer features a sturdy stainless steel handle, it can be sterilized easily for physical examinations. It is designed in a way that allows you to hold it with a firm and comfortable grip. DUAL HEADS: Our hammer features two heads, one end is small, and one end is large for precise tendon percussion. EASY TO CATTY: Deliver a soft bag storage and protect the reflex hammer. Use a sharp implement (e.g., broken wooden handle of a cotton-tipped applicator). Ask the patient to close their eyes so that they receive no visual cues. Touch the sharp tip of the stick to the right and the left side of the forehead, assessing the ophthalmic branch. Touch the tip to the right and the left side of the cheek area, assessing the Maxillary branch. Touch the tip to the right and the left side of the jaw area, assessing the Mandibular branch. Temperature can be assessed by touching the different areas of the face described above with test tubes filled with cold and hot water and asking the patient to describe what sensation they feel. Pull out a wisp of cotton and twist into a thin strand. While the patient is looking straight ahead, gently brush the wisp against the lateral aspect of the sclera. This should cause the patient to blink. Blinking also requires that the facial nerve is functioning normally, as it controls eyelid closure. Corneal reflex can also be elicited by blowing into the eye of the patient. Trigeminal neuralgia is the most common disease of the fifth nerve. It can be idiopathic or caused by multiple sclerosis, tumors or herpes zoster. The ophthalmic division can be involved in lesions of the cavernous sinus. Bilateral motor paralysis may occur in bulbar palsy (causing wasting of muscles of mastication) and pseudobulbar palsy (causing jaw jerk to be brisk). The facial nerve innervates most of the muscles of facial expression. If the facial nerve is paralyzed, the patient may complain the inability to close the eyelid, the collection of food in the mouth and dribbling of saliva on the affected side so be sure to take those complaints into account. Before beginning the examination, inspect the face of the patient and compare the symmetry of both sides of the face. The number of wrinkles should be equal on both sides, the palpebral fissures should be the same on both sides (the palpebral fissure may be wide on the paralyzed side), the nasolabial folds should be equal (the nasolabial fold may be flattened on the paralyzed side) and the angles of the mouth should be of the same height. Ask the patient to frown or wrinkle the forehead. There will be no wrinkling on the affected side. Ask the patient to close the eyes; the affected side will remain open, and there will be brisk upwards rolling of the eyeball. To test the power of the orbicularis oculi, ask the patient to close their eyes as strongly as possible while you try to open the upper eyelids. The affected side will be weak. Ask the patient to inflate the cheeks and tap on both sides with the finger. The weak side will be deflated easily. Ask the patient to show the teeth. The angle of the mouth would deviate towards healthy side. In an unconscious patient, deviation of the angle of the mouth can be demonstrated by applying pressure on the supraorbital notch. Ask the patient to whistle. The patient cannot whistle as air escapes from the paralyzed side. The patient will complain unusually loud sounds on the paralyzed side if nerve to stapedius muscle is involved. Pouting of the lips and transverse smile are the manifestations of bilateral facial weakness. The taste test should be of the anterior two-thirds of the tongue. Get solutions of four common tastes – sweet, salt, sour and bitter. Instruct the patient to identify the taste, either by writing or raising fingers, e.g., one finger if the taste is sweet, two fingers if salty and so on. Ask the patient to protrude the tongue. 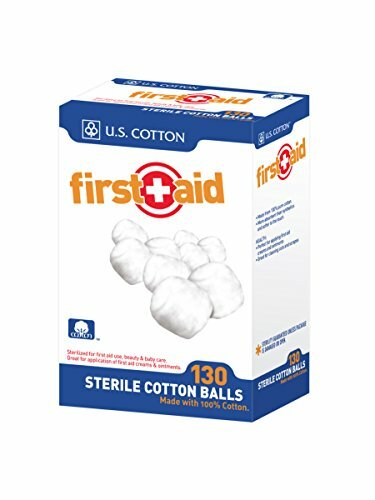 Hold it with gauze, dry it and test each side separately. Put a drop of each solution one by one and ask for the response. Test bitter at the end. The facial nerve is the most commonly affected cranial nerve by lesion of both upper motor neuron and lower motor neuron. This clinical distinction is very important, as central (UMN lesion) vs. peripheral dysfunction (LMN lesion) carry different prognostic and treatment implications. Bell’s palsy (peripheral facial nerve dysfunction) tends to happen in patients over 50 and often responds to treatment with Acyclovir (an anti-viral agent) and Prednisone (a corticosteroid). Over the course of weeks or months, there is usually improvement and often complete resolution of symptoms. Assessment of acute central facial nerve dysfunction would require quite a different approach (e.g., neuroimaging to determine etiology). Manifestations are on the opposite side. The upper half of the face is less severely affected because the part of the facial nerve nucleus which supplies muscles of the upper half of the face is connected with both cerebral hemispheres. The part of the facial nerve nucleus which supplies muscles of the lower half of the face is connected only with the contralateral cerebral hemisphere. Smiling and other emotional movements are usually preserved in UMN lesion because there is a separate path for these movements. An upper motor neuron lesion may occur with a central nervous system event, such as a stroke. The patient will present with preserved ability to wrinkle forehead, but the corner of the mouth will deviate on the contralateral side. The whole of the ipsilateral half of the face is affected. Bell’s palsy is the most common cause of isolated lower motor neuron facial palsy. The lesion is in the facial canal. The facial nerve has a long route and gives off branches at various sites, the site of the lesion can be localized with considerable precision. If the lesion is after the nerve exits from the skull, there is only weakness of facial muscles. This presents with inability to wrinkle forehead, inability to close eyelids completely, decreased nasolabial fold and deviated angle of the corner of the mouth. If the lesion is in the facial canal, between the chorda tympani and branch to the stapedius, in addition to motor weakness, there is a loss of taste as well. If the lesion is between the branch the stapedius muscle and internal auditory meatus, there is hyperacusis on the affected side, in addition to motor weakness and loss of taste. The geniculate ganglion can be infected by herpes zoster (Ramsay Hunt Syndrome). In addition to other features of facial palsy, there are vesicles in that part of the external auditory meatus which gets sensory supply from facial nerve. If the lesion is in the internal auditory meatus, in addition to the features of facial nerve palsy, the eighth nerve is also paralyzed. The vestibulocochlear nerve has two components, the cochlear component which deals with hearing and the vestibular component which deals with a sense of balance. The examination of all these components is hence separate as well. Whisper the patient’s name or some other words while standing just behind one ear. The patient should be able to repeat those words back. Repeat the same on the other ear. Alternatively, you can place your fingers close to the ears (about a distance of 5 cm away from ears) and rub them. The patient should be able to hear that. The Rinne’s and Weber’s tests are carried out using tuning forks, which help to differentiate between conductive deafness and sensorineural deafness. 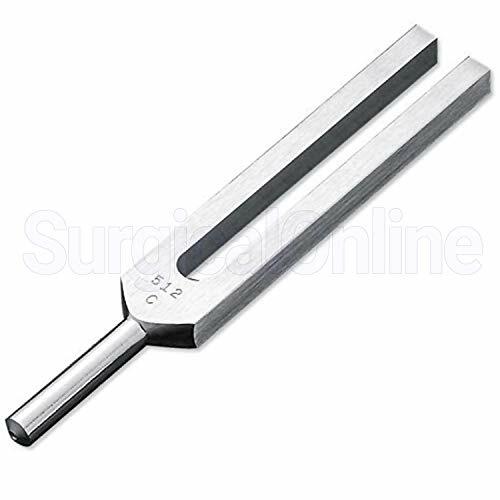 Strike the 512 Hz tuning fork on a hard surface. Place the base of the vibrating tuning fork on the mastoid process. If the patient cannot hear, they have sensorineural deafness. If the patient can hear, indicate to them when they stop hearing the vibration. Then bring the tuning fork close to the external auditory meatus. If the patient can still hear something that means that air conduction is better than bone conduction and the Rinne’s test is positive. If the patient cannot hear anything, perform the test in the reverse order by first bringing the tuning fork to the auditory meatus and then placing it on the mastoid process. If the patient can hear the noise when the tuning fork is placed on the mastoid process; the Rinne’s test is negative. Repeat the same process on the other ear. A positive Rinne’s test is normal. In sensory neural deafness, air conduction is better than bone conduction, but both are reduced – reduced positive Rinne’s test. In conductive deafness Rinne’s test is negative. In mixed deafness, bone conduction is better than air conduction, but both are reduced. Place a vibrating tuning fork in the middle of the forehead or the vertex. Ask the patient whether the hearing is better in the right or left ear. If it is equal on both sides, the test is central, and it indicates either normal hearing or equal deafness on both sides. In sensorineural deafness, it is lateralized to the normal ear while in conductive deafness it is lateralized to the diseased ear. Ask the patient to sit on a revolving chair with open eyes and head flexed at 30˚ forwards, chin almost touching the neck. Rotate the chair quickly to the right for 20 seconds or about 10 revolutions. Note the initial nystagmus and then ask the subject to close their eyes. Stop the chair abruptly and ask the patient to open their eyes. Now note the direction of nystagmus. Ask the patient to lie down in a supine position. The head of the subject is elevated at 30˚. Quick nystagmus occurs in the direction of the irrigated ears. The patient may experience vertigo, nausea or vomiting. The motor part of the nerve supplies the stylopharyngeus muscle and the sensory part carries sensations from the pharynx, tonsillar region and the posterior one-third of the tongue. It also carries secretomotor fibers to the parotid gland. The motor function of the nerve cannot be tested separately from the vagus nerve hence only the sensory component examination is mentioned here. First, touch one side of the midline and then the other. There will be contraction and elevation of the pharyngeal wall on that side. The sensory component of this reflex arc is the glossopharyngeal nerve, and the motor component is the vagus nerve. Similarly, touch the soft palate. The soft palate should move upwards. The vagus nerve mainly carries the parasympathetic fibers to the organs of chest and abdomen, but there is also a motor component which supplies the muscles of the soft palate and pharynx and the intrinsic muscles of the larynx. In the examination, only the motor function of the nerve is tested. If the larynx is paralyzed, there is hoarseness but if the soft palate is paralyzed the voice becomes nasal. Ask the patient to cough. If there is paralysis of the vagus nerve, the cough will become nasal or bovine. Ask the patient to open their mouth. Depress their tongue with a tongue depressor to visualize the uvula. Ask the patient to say “ah.” In bilateral paralysis, the soft palate will not move. In unilateral paralysis, the affected side will remain immobile, and the uvula will deviate towards the normal side. A peritonsillar abscess, among other causes, can also cause the deviation, so these need to be ruled out as well. Ask the patient to puff out their cheek. Normally, the palate elevates and occludes the nasopharynx. However, in 10th nerve paralysis air will audibly escape from the nose. The patient will also give a history of dysphagia and nasal regurgitation of fluid. This can be confirmed by asking the patient to take a drink. Observe movements of the posterior pharyngeal wall when the patient says “ah.” If one side is paralyzed, the wall will move more laterally towards the normal side. Also, check the gag and palatal reflexes. The recurrent laryngeal nerve (a branch of the vagus nerve) can be damaged during thyroid surgery or by malignant tumors. Bilateral vagus nerve palsy occurs in bulbar and pseudobulbar palsy. The spinal accessory nerve innervates the trapezius and sternocleidomastoid muscles. The trapezius muscle is responsible for shrugging shoulders, whereas the sternocleidomastoid helps in turning the head laterally. Repeat the same for the other side. Before beginning the examination inspect the patient from behind. The upper portion of the scapula will deviate away from the spine, whereas the lower portion will deviate towards the spine. The whole arm will droop, and the fingers will appear to be closer to the ground on the affected side compared to the unaffected side. Examine the patient by asking the patient to shrug their shoulders against resistance you offer by pressing down on their shoulders. The accessory nerve tends to get paralyzed along with other nerves in bulbar palsy. The hypoglossal nerve innervates the muscles of the tongue. Each hypoglossal nerve innervates one half of the tongue. Ask the patient to open the mouth and inspect the tongue as it lies on the floor of the mouth for size, shape, wasting and fasciculation. Ask the patient to protrude the tongue; it will deviate towards the paralyzed side as normal genioglossus will push it towards the opposite side. Ask the patient to press the tongue against the cheek while you resist with finger pressure on the outside of the cheek. In unilateral paralysis movements towards normal side will be weak. In bilateral UMN lesion, the tongue looks small and conical and is immobile. In unilateral UMN lesion, the tongue may sometimes deviate towards the paralyzed side when protruded. No wasting is seen in UMN lesions. In bilateral LMN lesion, there is generalized wasting with fasciculation. In unilateral LMN lesion, wasting and fasciculation is present on the affected side only.